The company is planning to transmute all fuel versions into electrified ones. 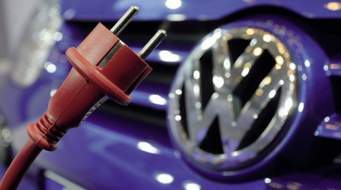 The automobile giant, Volkswagen will transform completely into electronic battery power by 2026. Volkswagen Strategy Chief Michael Jost during a speech at an Automotive Conference in Wolfsburg, Germany announced that all brands under VW Group will shift to electric driven, including Audi, Bentley, Bugatti, VW, Porsche, Seat, Lamborghini, Seat, etc. This strategic move is having an immediate effect after the 2015’s diesel emission cheating scandal, which made a payment of 27 billion Euros in fines to the automaker.Before one such a move, presently they are planning to adapt its petrol and diesel engine vehicles to comply with environmental standards by fading out combustion engines of those vehicles to a minimum and thereby to set a standard. The first one such an electro-automated model will be in road by next year by, Porsche Taycan and will be followed by more such offerings as the Porsche has estimated $50 billion (Rs 3.5 lakh crore) over the next five years towards transformation to self driving electric cars.The announcement for the electric model by VW also added fuel to the fire as other brands are already discussing electric models such as the Audi e-tron and e-tron GT besides the Porsche Taycan and CrossTurismo already confirmed for launch. 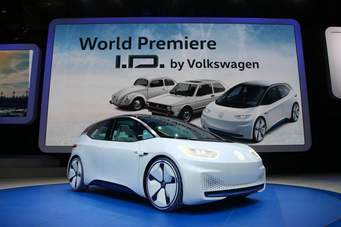 Initially, Volkswagen will include fully or partially electric versions of its entire series of over 300 cars, vans and trucks and also its motorcycle range by 2030.The I.D. Neo will be followed by the I.D. Buzz van, a crossover/SUV and a larger limousine based on the I.D. Vizzion. The company has also planning a liaison with SK Innovation for the production of battery cells prior to its full fledged entry into electronic segment. The electrification wind is blowing worldwide automation sector . So that in India, Maruti Suzuki, the country’s largest car maker has announced a new strategy ensuring they are not left behind in the electric car race. Maruti planning to launch 4 electric cars in India by 2020. These are expected to be electrified variants of WagonR, Brezza, Swift, Dzire. Above all, Maruti expects to generate a revenue of 33% sales in India by 2030 from electric automobiles.